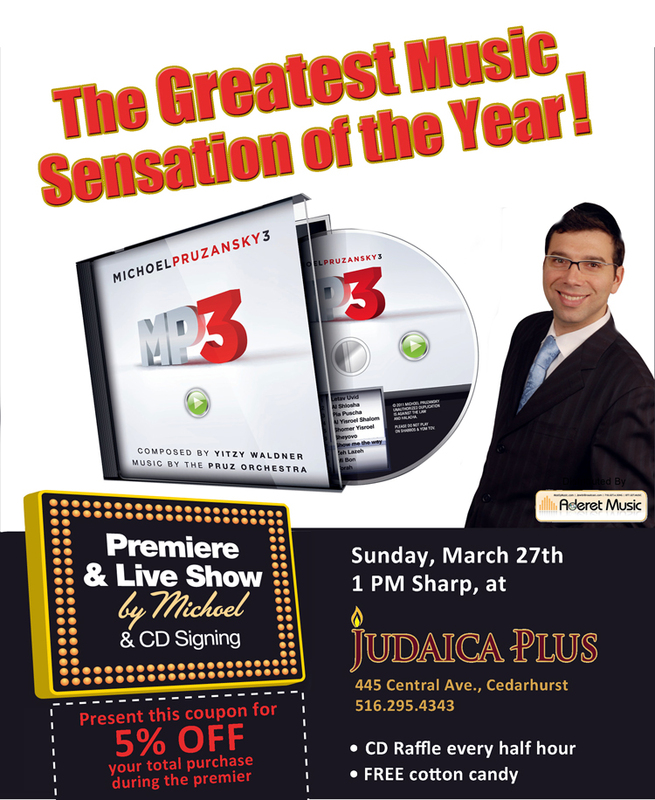 Join Michoel Pruzansky for a CD premiere & live show at Judaica Plus, in Cedarhurst, NY. Present the attached coupon for a 5% discount on your total purchase during the premiere – 445 Central Avenue, Cederhurst. 516-295-4343. CD raffle every half hour, free cotton candy.